alaTest ha raccolto ed analizzato 1719 recensioni su Xiaomi Redmi / Xiaomi Hongmi / Xiaomi Red Rice. La media della valutazione per questo prodotto è 4.1/5, confrontata con la media della valutazione di 4.3/5 per altri Cellulari. Le persone sono impressionate da design e fotocamera. In aggiunta, prezzo e usabilità ottengono buone recensioni, tuttavia alcuni utenti hanno dubbi circa la connettività e la performance. Schermo e durata batteria hanno ottenuto opinioni discordanti. Abbiamo analizzato differenti valutazioni di esperti ed utenti, età del prodotto ed altri elementi. A confronto con altri Cellulari, Xiaomi Redmi / Xiaomi Hongmi / Xiaomi Red Rice ha ottenuto un alaScore™ complessivo di 87/100 = qualità Molto buono. Known as the Xiaomi Hongmi ("red rice," in Mandarin) in China, the dual-SIM 3G Redmi is the first handset from the company that is officially available outside of China, Taipei, and Hong Kong, and is set to retail online for both Singapore and Malaysia. The ridiculously cheap Xiaomi Redmi has a cool UI with plenty of usable features, a good camera, and a crisp 720p display. The Redmi lacks 4G connectivity and 3D gaming performance was sluggish. Xiaomi's Redmi offers exceptional value for its low price, and blows all other budget handsets out of the water. If you're looking for a cheap Android smartphone without having to compromise performance, look no further. Xiaomi Redmi 4A is an easy to use super light weight smartphone that offers tons of specs at an unmatchable price tag running on the latest Android. The Xiaomi Redmi 4A isn't the most powerful phone around, but for R1999, you're getting great battery life and sufficient processing power for the job. The Xiaomi Redmi Note is one of those phablets that we don't mind recommending, not just because of the specs but because of the price. At an expected price tag of around Php7,000 and with this kind of build and quality, this is almost a steal. Xiaomi Redmi Note Review: Will it Become the Most Affordable Octa-core Smartphone in PH? 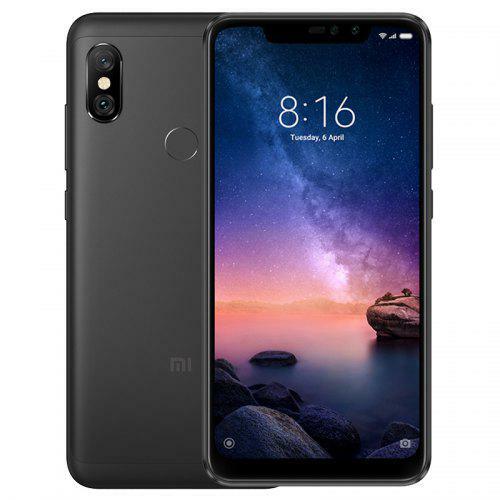 (Editors note: the Redmi Note reviewed in this article was acquired by the author of the article from a Hong Kong reseller, and may vary from the Philippine version that will be offered by Xiaomi when it officially lands here. The Redmi is well built, well featured, reliable and amazing value. The english version of the Xiaomi Redmi, available in Singapore and Malaysia, overcomes all the short comings of a grey market ones imported from mainland China. Get the english version, it works great out of the box. The MiUI is easy to use and can be tweaked as you like. The battery is slow to charge. It is easy to place a finger across the rear speaker.